Woke up early but the sky in Labuan was already clear as sunrise here is ahead of KL. 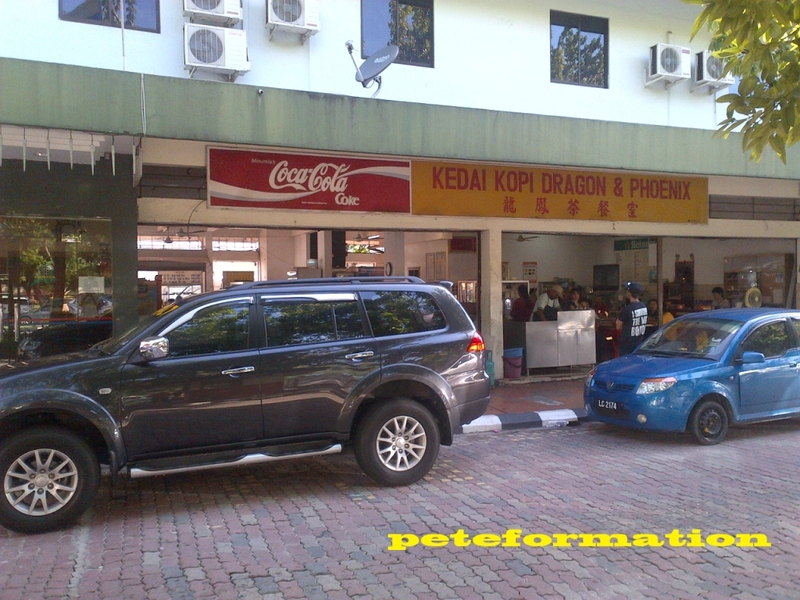 After washing up, I walked to Kedai Kopi Dragon & Phoenix to have my breakfast. An uncle at the 'Siew Char' stall recomended that I try the Labuan Tok Tok Mee. I took a seat and waited patiently for my Tok Tok Mee! The air was filled with the nice aroma of Tok Tok Mee when it was served. 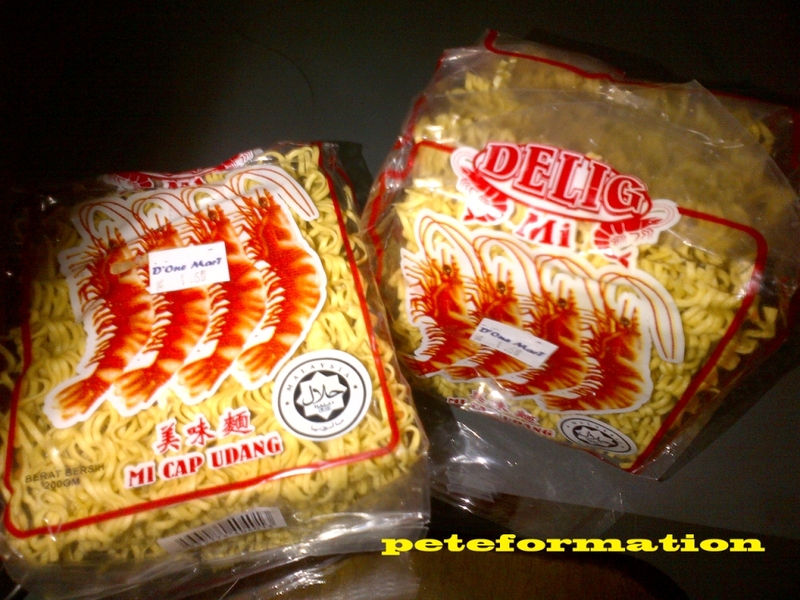 Tok Tok Mee is actually flat dried noodles that have been fried till the wok hei (hot wok) smell are infused into it. Then it is doused in a flavourful gravy that tasted almost like the one used for Singapore Hokkien Mee. The verdict!.......Tok Tok mee is very delicious.....! I will be back for more! LOL! A plate cost me RM5. A close up shot of my yummy morning breakfast dish!...photo not so clear, sorry ya, all the photos in Labuan are taken using my handphone because I did not have my camera with me that time! I bought 2 packets of dried tok tok mee, or mee udang from the local mini market and brought them back to KL......cooked for my kids and they loved it very much......recipe coming up in my next post....stay tuned! hahaha, Tok Tok Mee, what a cute name.. it seems to me like it's the "cantonese style noodles" in here..
Is it to order the noodle we have to tok tok tok on the table? 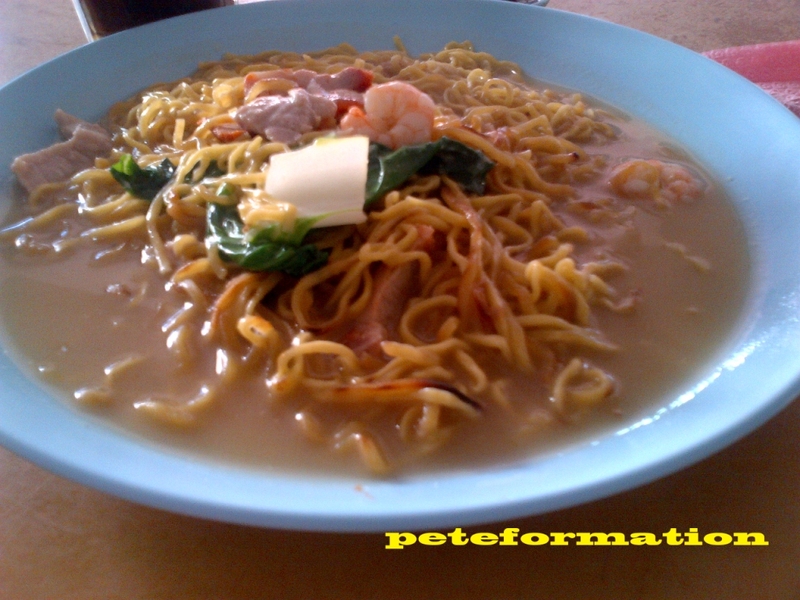 Tok tok mee looks like yee mee. 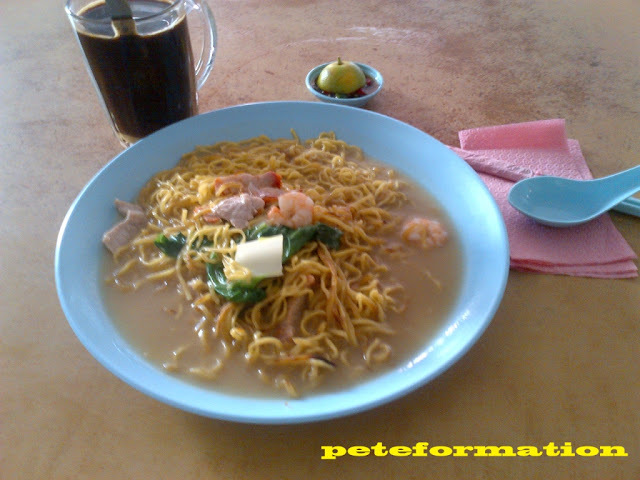 The tok tok mee looks like yee mee to me! Love the sambal with lime. Hehehe, tok tok mee, the name is so cute! Cld wait to see your invention! I have the same impression as the others too.. it does look like yee mee. Looks good! sounds interesting and yummy :) but what does tok tok mean actually? OMG! haven't had this Tok Tok noodles for ages. Can't find any in KL.